Thinking back, I remember a parents’ evening when I was 11 years old (Year 7, to be precise) – a teacher asked me what I wanted to be when I was older, and I said I wanted to race superbikes. My teacher and mum both laughed it off and that was the end of that conversation. However, my passion for bikes remained throughout school and by 15 I was saving for my 1st moped, skipping lunches, devising money making schemes off of family members, charging to go to the shop, pick up my sister, wash the dishes etc.I even ended up developing a rates list for every chore asked of me! But the novelty soon wore off and my mum stopped participating in that scheme. I used to walk around with a Scooterden (a moped shop) brochure in my bag 24/7 to keep me motivated not to spend a penny. For the year up until my 16th birthday, I saved and hustled like nothing else, but anyway moving on, my 16th birthday came and I had finally saved just enough to buy my 1st bike: a 1999 Italjet Formula 50LC. I remember getting on it and literally thinking ”I have not been living, I literally have not been living up until this point in time”. Having passed my test a week prior to getting the GSXR (and that was on a 125cc!) this was my 1st time on a “Big” bike. The GSXR should really have been restricted for me to be legal on it, but me being me, riding it home and seeing speeds I had never seen in my life, finally returning home and my mum was waiting outside with a face not too encouraging but I knew deep down she was happy for me. Even though it was raining, I parked it in my front garden and just watched it for about an hour or three. This has since become the ritual for every bike I have ever owned. Finally riding a “proper” bike was great, though I yearned to have someone to ride with (a bit like in Biker Boyz). One of my friends had a Kawasaki Ninja, but he wasn’t legal on it so he couldn’t ride as freely as myself. However, from the brief stints that we did ride together, I knew it was much more fun to ride with someone else then by yourself. By ure chance I met some riders at a local bike garage from my scooter days, they invited me to come down to the Ace Café (yes, the Ace Café) that Friday, and from then on my rider circle has expandeD. To this day, I’m still good friends with the riders who initially invited me to come to the Ace Café and look up to them as my uncles as they’re old enough to be :-D. I finally felt like “Wow! These guys are just like me, getting excited over just how an exhaust sounded or a guy doing a wheelie!”. I consider my rider fraternity as family. Obviously, I’m closer to some more than others, but I feel a great sense of care for all of them. 2008 was a good year, with loads of rideouts and experiences. I had about 70+ Riders in my phonebook and learnt a lot along the way, such as what you can get away with it and what you can’t if you get my drift ;-)… However, a fellow rider’s death – one who I had only ridden with once but only a few weeks before his death – reminded me that riding a bike is dangerous, and has to be treated with respect. 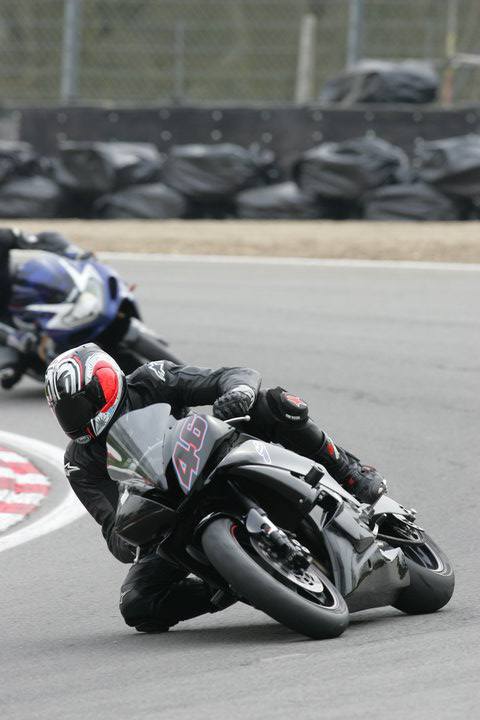 After attending my first BSB event at Brands Hatch 2008 and witnessing those track demons tear it up, I realised I wasn’t as much of a “rider” as I had led myself to believe. It seemed like a totally different world, one that I had been oblivious to for 19 Years. Yeah I had watched Moto GP on TV and knew my Rossi from my Capirossi, but there were people here who I hadn’t even heard of and people were queuing for ages to get them to sign helmets and the like. I wanted that lifestyle. I thought I was a good rider, but just hadn’t been pushed in that direction. I distinctly remember getting home that night and printing off all the ACU forms and reading all the necessary documents for me in order to get involved in racing. I read various racers profiles from the BSB and then it started to dawn on me how long many of these guys had been riding for. Some had begun from a young age, while some are also supported by family members that have raced/currently race. Generally, they have a lot of support from their family, which is something that I didn’t have. Then I noticed how much these guys weighed, how tall these people were (after being quiet into my gym for a few months I was quite a bit heavier than average and already 6ft 1). I told a few people I wanted to get into racing, and they agreed with my doubts about my age, weight etc…so I put the dream back to the inner recesses of my head again. 2009 started the same and looked to be an even better year as I had a upgraded bike and learnt how to wheelie and other naughty stuff…but the death of two of my fellow riders really hit home. One of them was a really close friend and was probably one of the closest in my rider family. This was a really sad time for me. 2010 looked to be a good year as my license was finally due to become de-restricte, meaning I would finally become fully legal (I was riding a GSXR-1000 with 161hp at the rear wheel, while my license only permitted me to ride a bike with a maximum of 33hp..wooopsie!). I had started buying up my bits and pieces to allow me to have a good year of riding. I knew I was going to start track riding so I bought my leathers at the NEC Show in Birmingham, a new Helmet (Arai RX7-GP, in case you were wondering), whilst I already had Dainese Titanium Gloves I’d bought at Donnington when there was a Moto GP race on and the Sidi’s I had were worn only a handful of time.